Spoiler alert! Do not read this post unless you've seen the two-part Bones fall finale! TJ Thyne, who plays Jack Hodgins, has been a part of Bones since the very first episode, but he’s about to take on one of his biggest challenges on the series: being paralyzed. The twist was originally supposed to play out in the season’s opening hour, but circumstances led to the show swapping episodes at the last moment. But Thyne was briefed by the Fox drama’s new showrunners, Michael Peterson and Jonathan Collier, over the summer. “I was stoked,” Thyne recalls. 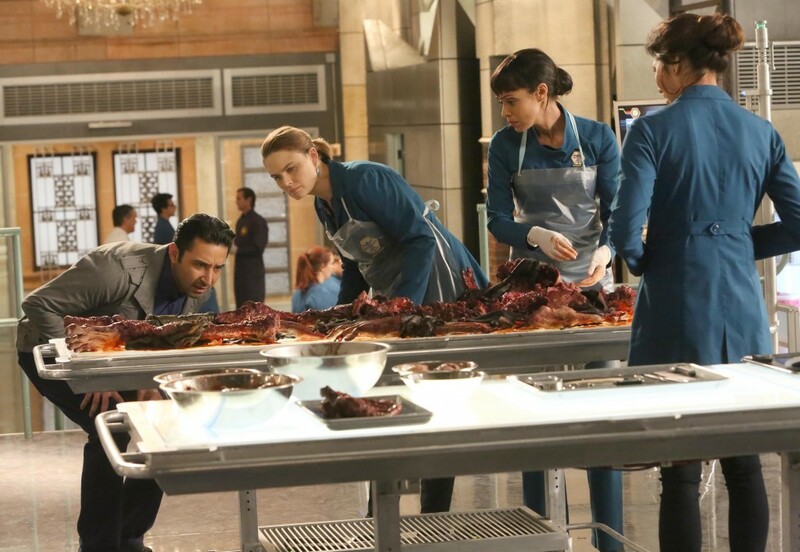 “The Doom in the Boom,” the second half of the Bones fall finale, ended with Hodgins’s loved ones getting the news of his paralysis, but Hodgins himself didn’t find out in the hour. When the show returns, it’ll have moved forward about two months. Hodgins’ paralysis will also shake up his marriage to Angela (Conlin). The couple had just decided to try for a second child when his injury appeared, and now they have to figure out where they stand.